Which are important social networks for marketing? What benefits can you get from them? How are the social networks different from a marketing perspective? Salaam beautiful peoples! Hope you guys are fine. 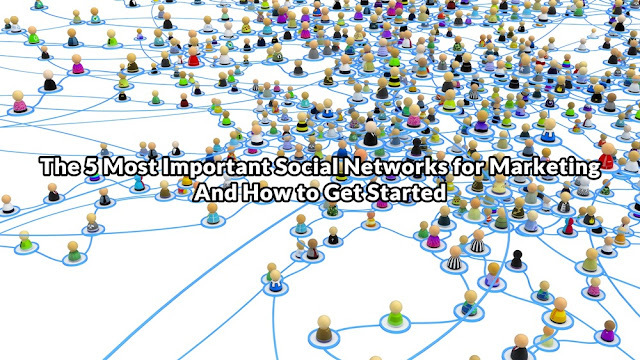 Today we share some important content about social network marketing. Especially when you are just starting out with online business and marketing online, there is the first question you need to answer: Which social networks should you be using, what results can you expect from them, and how can you get started for "Quick" results. The question is not secondary – the various networks are very different and the results you can achieve are can be tremendously diverse. So, the decision, which social networks you are active in should always be based on your online marketing goals. But to make the best decision about which networks you should use, you also need to be totally clear about what you can achieve with the various social networks – and what you need to get your efforts on the track to success, quickly. Here are 5 of the most important social networks for online marketing, basics about how you can get started and what you can expect from them. Although Facebook can present a huge opportunity in terms of traffic and new business, it is very hard to get started on Facebook without paying for your first visibility to gain fans and followers. That is one reason why you really need to understand Facebook and how it works if you don’t want to pay for you initial visibility and are not somehow getting your name seen by your target group outside of Facebook and then redirecting these targeted people back to your Facebook fan page. It still makes sense to always have an active Facebook fan page, because Facebook is still the first social network where most people from your audience will come looking for you. 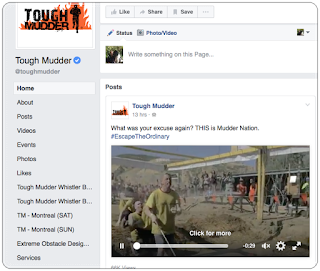 A huge opportunity is often Facebook groups - and they are often underutilized. Don’t try to simply shout your message or links to your website at group members, rather try to connect and build relationships. If you get that right, Facebook groups can be a very useful tool to push your online marketing on many levels: Get more fans, get more traffic, get more leads. Twitter is an underrated social network for marketing. In terms of traffic and lead generation, Twitter should be a must for every online marketer. You can find an audience on Twitter for almost any niche. The processes to grow an audience - and with it, traffic from Twitter - are straightforward. If you understand how to provide value to your target audience and get yourself in front of people from your target audience, your account and with it the traffic from Twitter will grow. In addition, conversations and Twitter chats offer a huge opportunity to build connections and relationships through interaction. The key to Twitter marketing success is most of the time tweeting valuable information for your target audience. Create content that allows you to mention other Twitter accounts, like lists of accounts or people from your niche or expert roundups. For b2b or rather business contacts, LinkedIn may still be one of the most powerful lead generation networks. While LinkedIn may not be the best social network for directly selling stuff to your audience, you can still use it to boost your business. Getting in touch, networking and getting introductions to people from your target audience is an extremely powerful tool. Don’t always look for the quick buck, LinkedIn's power is rather in the networking, recommendations, and introductions part of the networking. Utilize the contacts that you have. Ask them for an introduction, ask them for feedback, consider a cooperation with contacts of people that would be willing to introduce you. If you do have a budget for advertising, the new Lead Generation Forms may be worth a try to capture more targeted leads. In addition to the social networking aspect, LinkedIn offers the opportunity to publish content. And while the traffic you can get from content published on LinkedIn may not be the biggest number of visitors to your website, the traffic can be highly valuable if you publish content aimed at your target group. You cannot post clickable links to your blog posts in your updates on Instagram. The only clickable link is the website link in your bio. 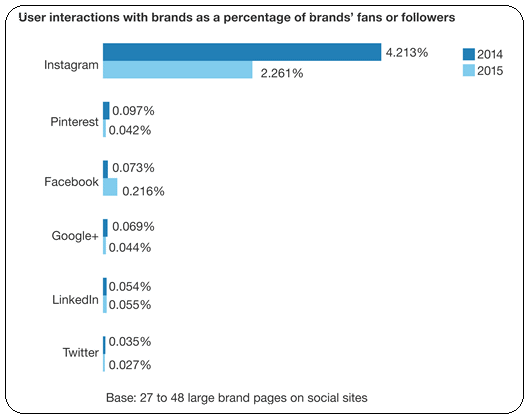 However, Instagram is surely one of the best social networks when it comes to branding and brand exposure. I have seen high interaction and increase in follower numbers if you keep posting on a regular basis and make sure your posts are on target. Again, remember that reaching your target group is crucial. You can post the most awesome Instagram content that gets a ton of likes and engagement. But if your posts are not relevant to your target audience the followers, likes and comments on Instagram will not be as valuable as you want them to be. Don’t post off topic just because you may get more followers and likes - these followers will not help you to grow your business. Pinterest is a gem for online marketing that is still hidden for many. 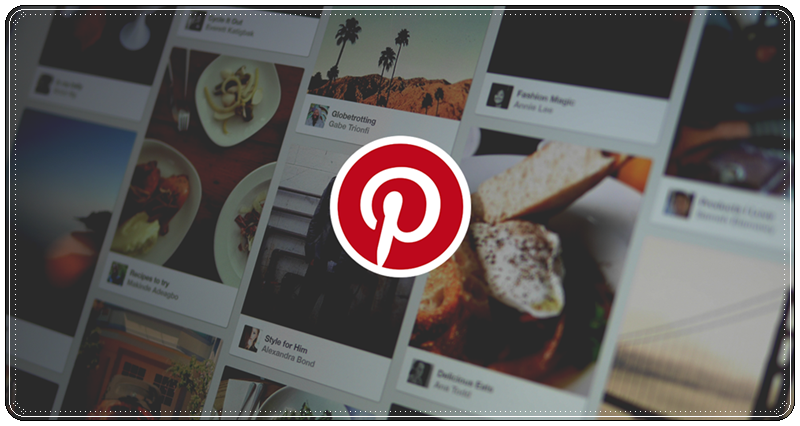 Bloggers find a lot of success with Pinterest for driving traffic and leads. But Pinterest is somehow hard to „get“ for people looking for social media success. Why? Because success on Pinterest for traffic and lead generation depends largely on the same mechanisms you know from getting traffic and leads from search engines Google: Keywords. That also means that engagement in form of commenting is of much less importance - Pinterest recently killed the like button. It is not even the number of followers that counts for success, making mechanisms like following people to get them to follow you back much less effective than on social networks like Twitter. To be successful with marketing via Pinterest, you have to use keywords at various places on Pinterest: In your bio, in your board descriptions, and in the descriptions of your pins. You also have to pin a lot and regularly. While the exact time of day when you post is not overly important due to the Pinterest Smart Feed, it still is very relevant to keep your account very active. That makes scheduling for Pinterest also a must have for success - if you don’t have the time to spend all day on Pinterest. It is not only vital that you know the basics about the major social networks for online marketing when you are starting out. You should also be aware of your options to expand on your social activity. However, when you are looking to scale your business via online marketing, these 5 major social networks should be first on your list of social networks you should be active on.